The Denver and Rio Grande Western Depot is not only one of Antonito’s greatest historic assets, it is also a key to the revitalization of the town itself. This station, constructed out of quarried ashlar volcanic stone, served the town of Antonito and the surrounding communities until 1951. The significance of the Depot is evident in the fact that all of Antonito’s original buildings were constructed to face the station. 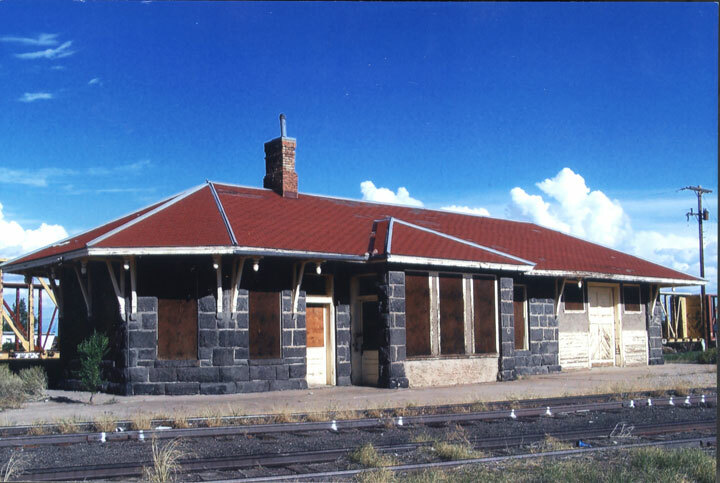 When listed on the Most Endangered Places list the depot had been vacant for over 50 years with neglect and deferred maintenance taking a toll on the structure. The station is structurally sound but continues to deteriorate from lack of maintenance. 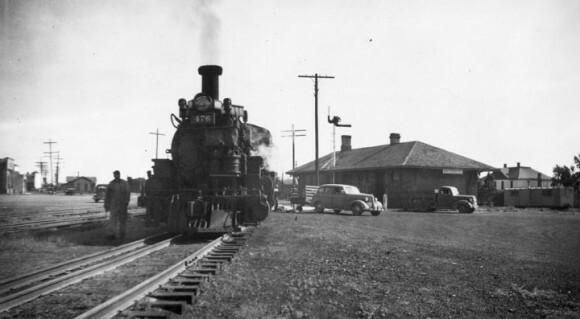 The town of Antonito has formed a partnership with Conejos County Commissioners, Los Caminos Antiguos Scenic & Historic Byway, the Friends of the Cumbres & Toltec, and Permian Basin Railroad (known as the Antonito/Conejos Railroad Heritage Alliance) to help the town with preservation plans, grant writing, and fundraising. In 2016, CPI, the Town of Antonito and the Sangre de Christo National Heritage Area partnered to obtain a State Historical Fund grant for restoration of the depot. Work began in late summer 2016 to repair windows, doors, and woodwork, replace the roof and to rebuild the chimneys. Schuber-Darden Architects and Empire Carpentry are the able contractors on the project. The rehabilitation is nearly complete on the initial SHF grant for exterior rehabilitation, including windows, doors eaves/brackets, chimney and painting. This grant was managed by CPI and involved key partnerships provided by the Sangre de Cristo Heritage Alliance. A second grant for Phase 2 rehabilitation has been submitted.